“After thirty-four years of service to our nation, I am requesting retirement from the U.S. Army effective this summer after which I will leave public service. Throughout my career it has been my greatest privilege to serve alongside extraordinary servicemembers and dedicated civilians. I am thankful to President Donald J. Trump for the opportunity to serve him and our nation as national security advisor. I am grateful for the friendship and support of the members of the National Security Council who worked together to provide the President with the best options to protect and advance our national interests. The President and General H.R. 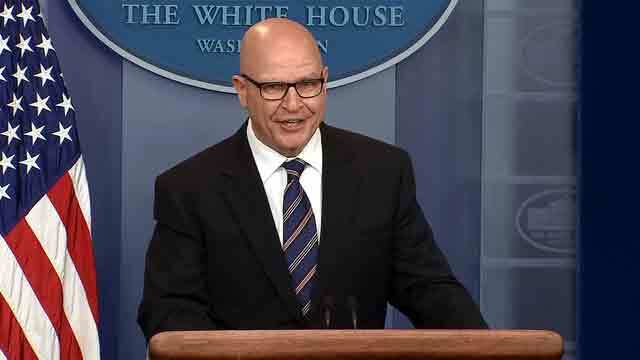 McMaster mutually agreed that General McMaster will resign as the National Security Advisor. McMaster will retire from the U.S. Army after 34 years of distinguished service. The two have been discussing this for some time. The timeline was expedited as they both felt it was important to have the new team in place, instead of constant speculation. This was not related to any one moment or incident, rather it was the result of ongoing conversations between the two. The President has asked Gen. McMaster to stay on until mid-April to ensure a smooth transition and Gen. McMaster has agreed. Upon the departure of Gen. McMaster, Ambassador John Bolton will take over as President Trump’s National Security Advisor. Ambassador Bolton served as U.S. Permanent Representative to the United Nations from 2005-2006 and as Under Secretary of State for Arms Control and International Security from 2001-2005. He is one of the strongest voices and experts on the full range of national security issues and challenges facing the country.